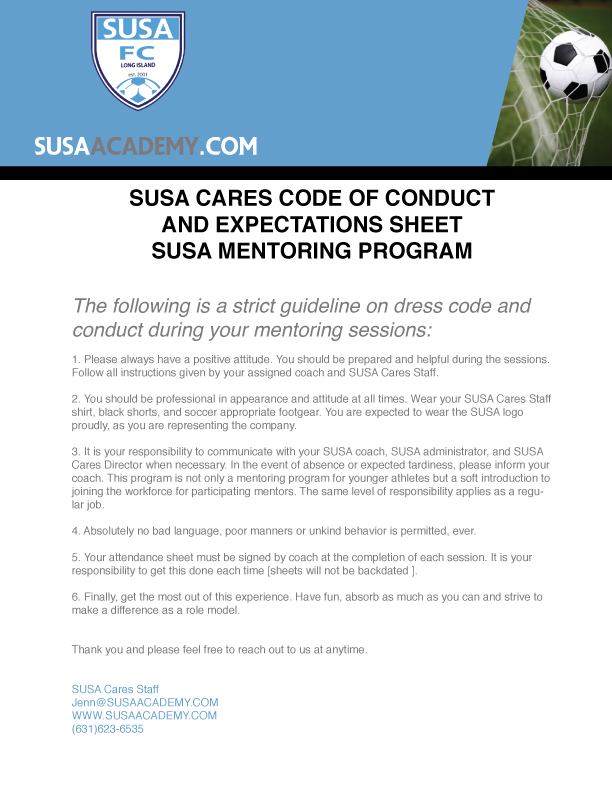 SUSA Cares is now accepting applications for the 2019 Summer Player Mentoring Program. Each year we encourage giving back to the community through our shared love of soccer. Mentoring is the perfect way to show your community service participation on applications. Team Based Mentoring - This program will work with our Bright Futures and Pre-Academy teams. The commitment level would require one practice per week thoughout the complete Spring or Summer season. SUSA Camp Mentoring - This program will work with players at various camp events over the summer and is a full week-long commitment. If you are interested in participating in the above comminity service events, please register no later than February 28th. Space is limited.